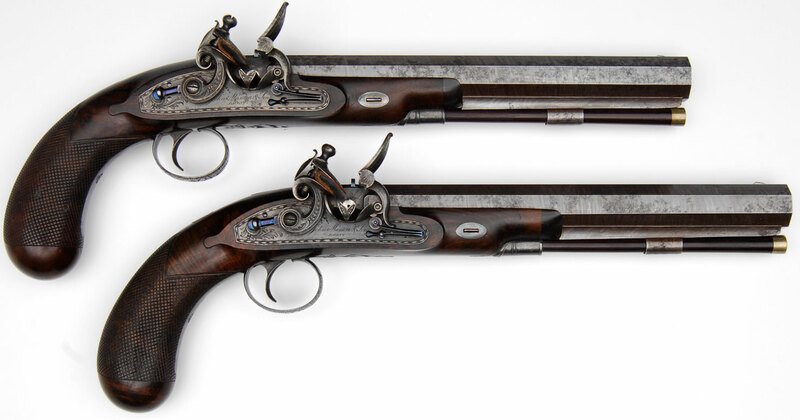 Duelling Pistols - Single shot pistols, of a design originating in England, in vogue circa 1770 - 1850, built necessarily in pairs, either of flintlock or percussion ignition, usually finely made and cased together with loading accessories. 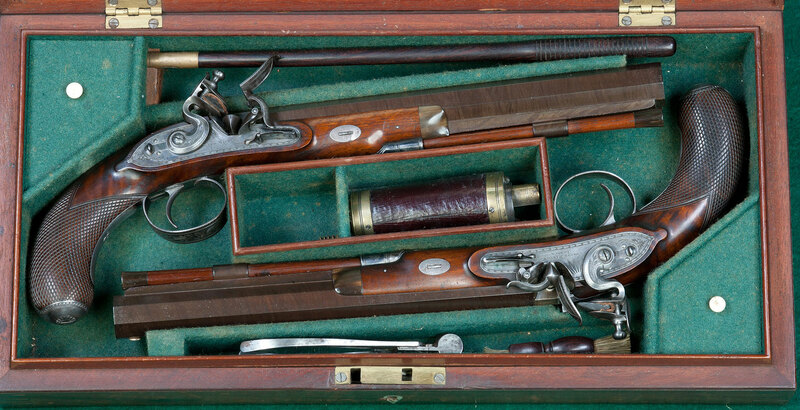 Duelling pistols tended to be lighter and sleeker than their contemporary service pistols. They tended to have smoothbore (or sometimes secret, scratch-rifled), octagon (or octagon-to-round) barrels around nine or ten inches long of some form of damascus steel, bores just over a half-inch, ramrods, rudimentary sights front and rear, single-set triggers, roller-bearing frizzens and curved grips integral with full or half-stocks. They were usually of high quality construction, sometimes with silver furniture, but normally of relatively plain decoration. Duelling Pistol variation - The Saw Handled Grip.